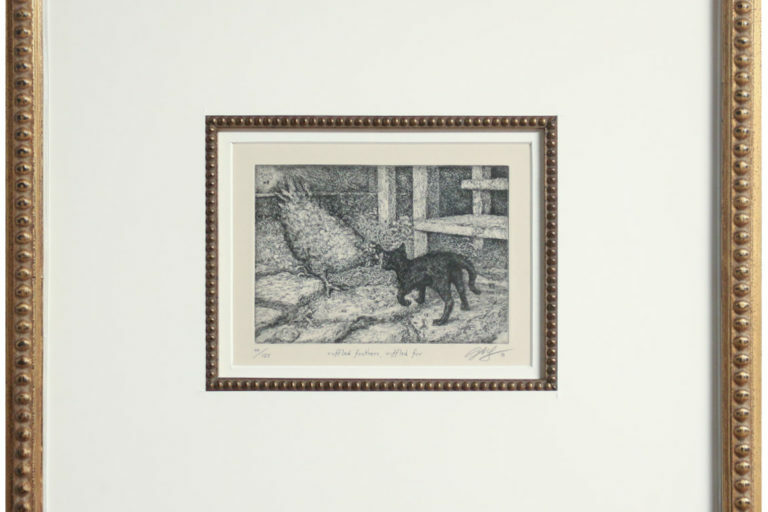 This is an original, signed and numbered print done by local artist and comedian, Curt Miller. Miller was recently featured at Arthaus Projects. 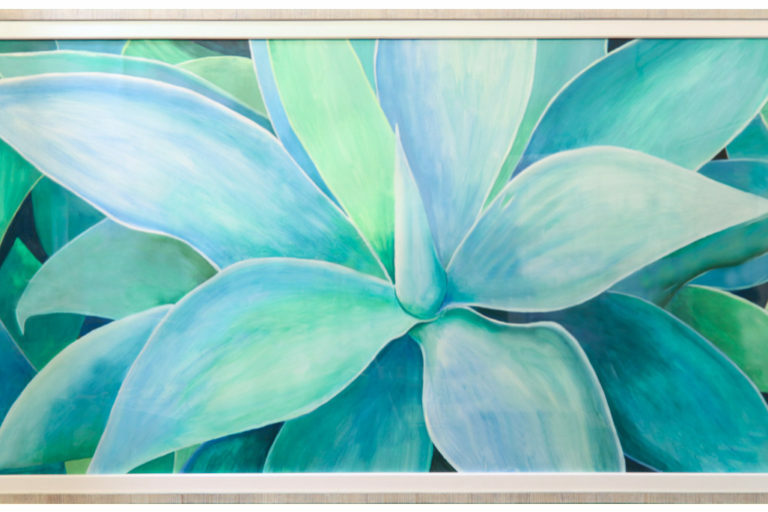 The piece was purchased by one of our own and can be found on display at our frame shop located within the gallery. Everything that you see in this design has a relation to the image itself. We will start from the inside and work our way out: Measuring the piece is one of the most important aspects when working with a signed piece of artwork. The signature below the image comes down about three eighths of an inch, in this case. This means that we can, either drop the bottom of the white border down from the image and then do a smaller boarder around the rest of the piece, or do an even three-eighths of white border all the way around. For this piece we kept and even white border in order to keep the overall size square. The orange and yellow mats were then used to accent the texture in the image of the pretzel itself, as well as the text. The yellow and orange would not have been suitable for a top mat choice because they are so bright. The viewer’s eye would more likely be drawn to the bright colors of the mats than the image. For the top mat we went with a textured and multi-colored brown with low tones of red mixed in. The artwork medium is oil pastel, which can have a rough and textured result. This top mat was perfectly compatible without matching exactly or being too obvious. In order to add a little extra design quality, we added an open v-groove, exposing a little of the orange mat sitting underneath the top mat. 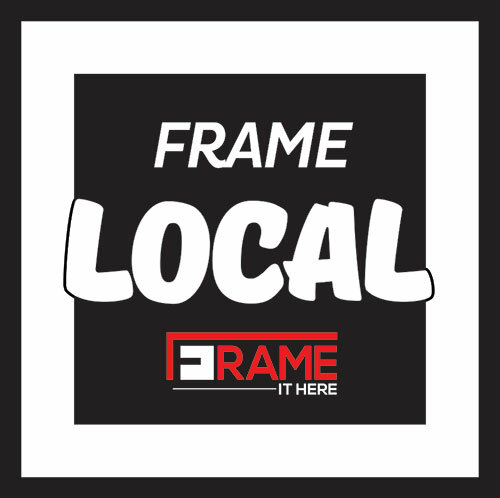 Finally we ended with this great dark oak stained Amish frame. 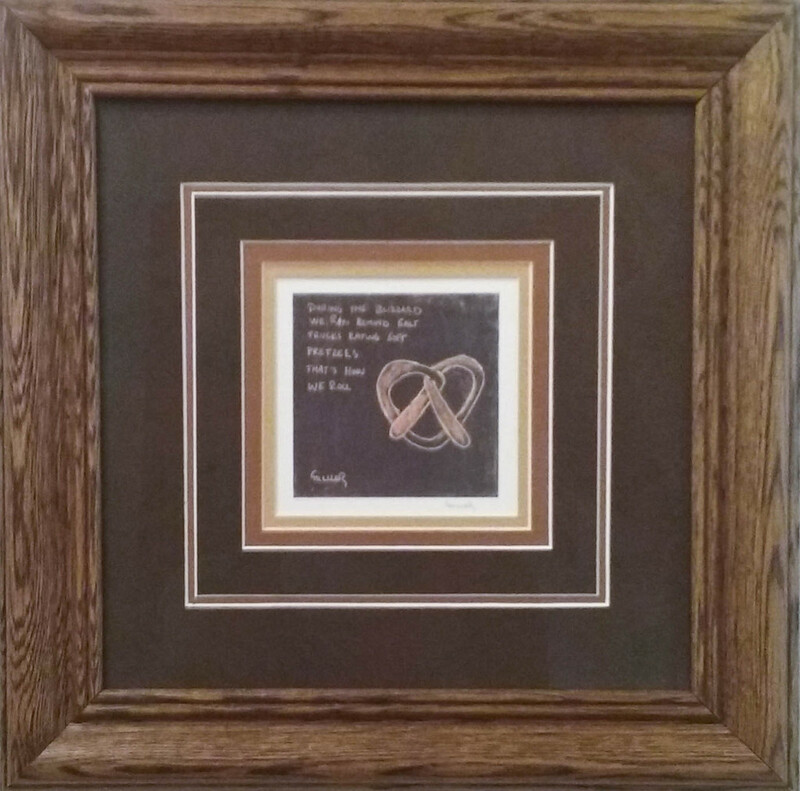 The texture of the frame was identical to that of a real pretzel and just couldn’t be passed up!